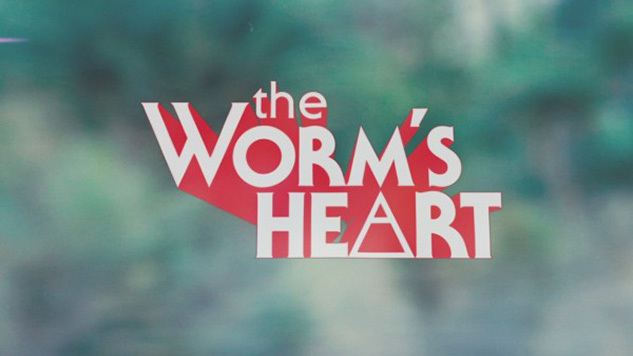 The clip is part of the recent short film The Worm’s Heart, directed by drummer Jon Sortland as a companion to the “flipped” version of Heartworms. That rework of their latest album was released on Jan. 19. The “Heartworms (Flipped)” visual features Shins frontman James Mercer going on a test flight, only to end up in a dimension filled with the campiest bits of Sid and Marty Kroft, Doctor Who and Lost in Space. The seemingly low-budget production mixes stop-motion animation, live-action footage, cheesy CG effects and a puppet space creature. Mercer befriends the creature, only to be attacked by anthropomorphic trees. All this occurs as his bandmates play an 8-bit videogame, trying to rescue him. The bizarre affair ends with a jam session and Earhart in a bar with Mercer. Along with this new clip, the group will be releasing a split 12” on Record Store Day, Apr. 21, titled The Lobos vs. The Shins. The digital EP will feature three versions of the Heartworms track “The Fear,” including the original and flipped versions, along with a rendition by American rock band Los Lobos. After five years away from the music scene, The Shins seem to be making up for lost time while gifting fans with music galore. Watch their bizarre “Heartworms (Flipped)” visual below.